The Christian life is a daily putting off all that belonged to the unregenerate old self and constantly putting on all that belongs to the new life in Christ. The cross and the resurrection extend their power and influence over the believer’s entire life. The Christian life is constantly producing new life. This new life in Christ through His Spirit must be daily replacing within the soul what our daily crucifixion of the flesh is taking away. This new life in Christ fills the emptiness created by self-denial with some new likeness of Christ. In place of the natural affection, there comes some new divine affection (Eph. 4:17-32). “You are dead . . . . you are risen with Christ” (Col. 3:1, 6). 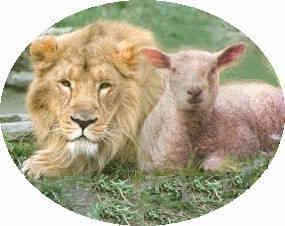 The flesh will never produce a strong spiritual life that pleases God and looks and smells like authentic Christianity. The flesh will always disgrace the Lord Jesus Christ no matter how you try to dress it up in legalism. The Holy Spirit is busy making real in the believer’s life what is already true of him doctrinally. The believer has not only died, but is to “die daily” with Christ as long as we live in this present life because we are in “an irreconcilable enmity” between the flesh and the spirit (Gal. 5:17). We have no option but to take up the cross daily in following Christ. The flesh can only reproduce itself. It holds no possibility of a divine life. This dying to self and sin is something we do daily. Our life-long growth in Christ-likeness is a determination to deliver us to death for Christ’s sake all that is kin to our old life before we gave our lives to Christ. It is also a commitment to put on Christ daily. It is each believer’s responsibility to submit to the work of the Holy Spirit in mortifying the flesh and therefore bring our body under the dominion of the cross of Christ. Moreover, the Christian life is not just a life of crucifixion; it is also a new life in Christ Jesus. The apostle Paul wrote, “I live, yet not I, but Christ lives in me” (Gal. 2:20). The daily spiritual growth of the Christian towards perfection lies always in these two opposite directions. The believer is always subjecting, repressing, and mortifying the natural man on the one hand, and nourishing, developing, and renewing the spiritual man on the other. It is not one or the other; it is both principles and activities working in conjunction with one another. It is our responsibility to daily judge and mortify all that we find in our attitudes, behaviors and values that are in the flesh and contrary to authentic Christian living. Yes, there must be a daily denial to anything that is not Christ-like. A negative process is never adequate to accomplish a positive goal. And no amount or kind of self-denial can make a person holier, or sinless. What is needed is the means of bringing him into more intimate fellowship with Christ. Every retreat from the life of the flesh must be followed by a deeper entering into the life of the Spirit. We take off the old man, and we put on the new man in Christ. As we abide in Christ, we walk as our Lord walked.